The biggest change of course are the inclusion of three major engineering firms that have extensive oil and gas clients. With Fluor, Worley Parsons and Amec added to the daily crawl, JobTorch job posts have increased to 1804 active positions. This is a 120% increase. Ability to send a job on Facebook. Ability to tweet a job on Twitter. 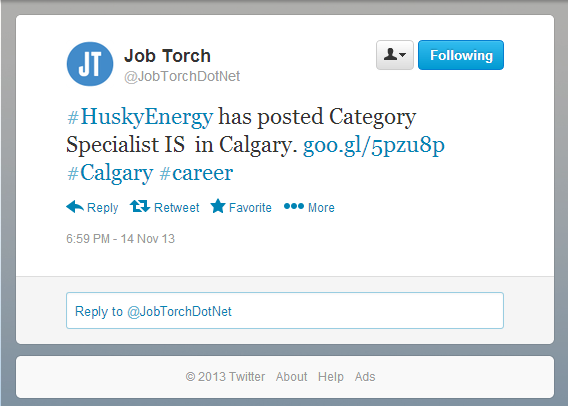 Added a dedicated twitter account @JobTorchDotNet which goes through job posts and tweets them automatically. These tweets are posted on controllable intervals and are scheduled. The tweets are generated by an automated cloud service and are structured to contain relatable hashtags so it provides exposure on the twitterverse. (It still needs more work, but it’s a good first step). Tell a friend feature is updated to work with various email templates. JobTorch is now (more) compatible with IE 7, IE 8 and IE 9. People with older browsers will now have an easier time navigating the site. But it still looks best on modern, up to date browsers. I also added a lot of backend features. Changed how the site deals with exceptions and errors. I also created a trigger that sends me an email if things are falling apart. (as they tend to do more that I would like). 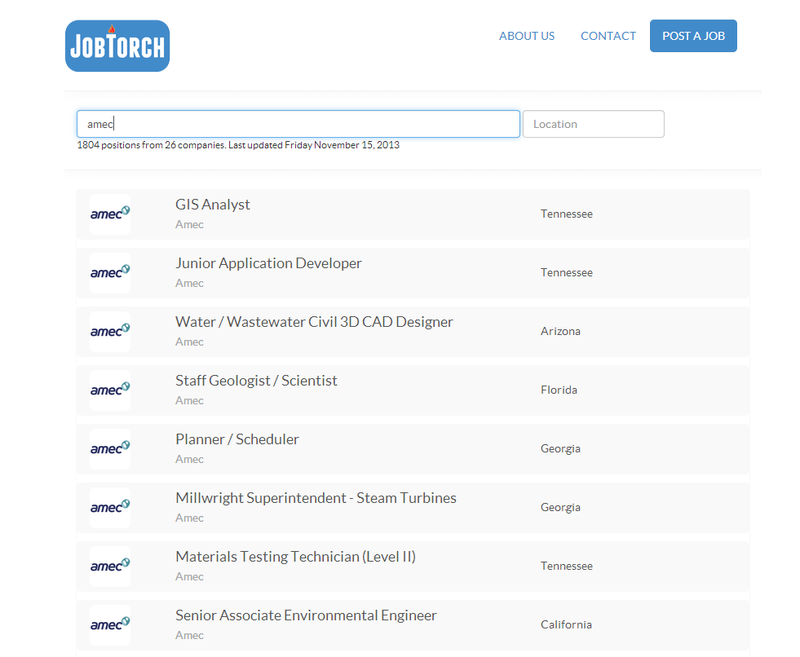 JobTorch is an employment aggregate website for individuals seeking a career in the oil and gas industry.